Product Review Ratings on Travel and Travel-Related Items. The MotionX GPS Drive Version is a full-featured GPS Driving Navigation Application for your iphone/ipad and car. How does MotionX stack up against stand-alone GPS Units? How does it stack up against other GPS Navigation Driving Apps for the iPhone? Let’s start with iPhone GPS Apps. Is MotionX the Best iPhone GPS? MotionX gives you two options for voice navigation. Previously, only a natural voice was included which was great for pronouncing maneuvers but did not provide you with the actual street names. The new HD Synthesized Voice pronounces the actual street names for you and does it very well. The street names sound exactly like you would expect them to. MotionX has a beautiful, graphical interface with very accurate street names and road depictions. It works in either Portrait or Landscape mode and takes full advantage of the high-res retna display of the iPhone 4. Multiple route selection was a feature that was missing in previous versions. This was a welcome upgrade which brings it up to par with other, pricier stand alone GPS units. MotionX provides both live traffic and predictive traffic information. That is something even my $200 Magellan GPS doesn’t do. Look up information, articles, guides and tours as you travel. That’s a pretty slick idea! This is by no means an exhaustive list of the features and capabilities of the App. Here are a few more notable features: You can mark your parking place and locate your car by tapping on the screen; mark your places on Facebook; browse for restaurants, shopping, entertainment and services and pull up addresses from your iPhone Contacts List . How does the MotionX App Compare to the real thing? So, the MotionX GPS has most of the features and functions of a stand-alone GPS. It has turn-by-turn voice guidance, real-time maps, beautiful graphics, interface and the list goes on. But, none of these features, bells and whistles mean a hoot, if the app doesn’t provide you with instructions that are at least as accurate as a pricey, but tried and proven stand-alone GPS. On my recent trip, I brought my trust, 3-year old Magellan 3225 GPS and so I was able to compare the MotionX against the real thing. The Magellan 3225 might be old, outdated and not have the pretty graphics of the best iPhone GPS but I knew I could rely on it to find my brother’s house out in the country road boondocks of College Station, TX. As expected, the Magellan 3225 took me there without incident. I let the MotionX take me out of the boondocks and guide me to Austin, TX. How did it do? Well, it must not have done too bad, or I wouldn’t be sitting here writing this review: The MotionX GPS Solution got me out of the woods, onto the highways and into Austin, TX. I was also able to find my Hotel, Sight Seeing spots, Restaurant and airport the next morning. It was not without a hitch. There were a couple of times when the MotionX GPS Signal didn’t seem to keep up with my exact location. For instance, on one occasion, my entrance to a highway ramp was not announced by the turn-by-turn voice guidance until a couple of hundred feet after passing it. On these rare occasions, I had to rely on my visual instincts to get me on and off the road at the right time. I think there is a good explanation for this: I do not own a mounting arm for the MotionX GPS, so it may not always be in clear sight of the sky as all GPS instructions recommend. My Magellan sits securely on a mounting arm which is attached to the windshield and is always in clear site of the open sky which quite possibly explains why I have had fewer hiccups with inaccurate directions over the three years I have been using it. Knowing this, I wouldn’t hesitate to spend $20 – $30 for a good mounting arm for the MotionX GPS. I would also not hesitate to use the MotionX GPS again on my very next trip. For the price, the MotionX is the best iPhone GPS, if not the best GPS, period. Finally, they’ve given me something I always wanted: MotionX Drive Version 14.0 now has a speed limit indicator on the map screen while your driving. Have you ever been driving along and wishing there was a speed limit sign? MotionX Drive gives you a very clear icon on the right hand side of your driving map which not only tells you the speed limit, but your current speed as well. One minor complaint: I noticed that on slower residential streets, with speed limits below say, 30mph, the MotionX Drive App was not displaying a speed limit. Perhaps it only works at 35MPH or above? At any rate, this is the best and cheapest driving GPS application on the market. I honestly have no use for my old, outdated Magellan any more. New Orleans, Atlanta, Quebec, Miami, San Diego, St. Pete, Annapolis, Denver, Philadelphia, New York, Nashville, Tucson, Montreal, Las Vegas, Santa Monica and three in Orlando, Florida. With just eighteen locations, Loews has the appearance of a very exclusive chain. I think the Lowes chain have carved out a niche for themselves in the affordable luxury hotel market. They have enough of a name and reputation to provide that extra level of confidence in the city where you are staying. 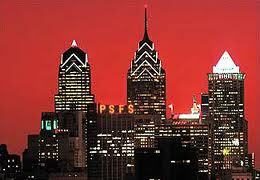 For example, on an upcoming trip to Philadelphia, I negotiated a deal on Priceline for 2ea 3 and ½ star rooms downtown. They not only accepted my offer, but upgraded me to a 4-Star Hotel. That was a luxurious and comfortable surprise that I was not expecting. Priceline can be an amazing way to shop for Hotels if you’re willing to risk the exact location. I paid such a surprisingly low price that I don’t want to mention it here, for fear of degrading the reputation as a luxury accommodation. Let’s just say I paid a price that would have been tolerable for a 2-star hotel. The reviews on Loews Hotels from coast to coast are consistently rated very high by users. On a scale of 1-10, you’d be hard pressed to find a score that is lower than 8 at any of their locations. Compared to other luxury hotel chain reviews, Loews seems to have the edge in star ratings. Doing some quick research of 2,164 reviews from 4 different cities, I calculated an average rating of 8.4. If you’ve ever looked at hotel star ratings, you know that 8.4 is a remarkable score. With so many things that can go wrong on a hotel stay, there are always going to be a few terrible experiences that drop the average rating. My brief research on this chain has made me feel very good about my upcoming trip to the Philadelphia.